Just press and print! It's that simple with pre-inked stamp. 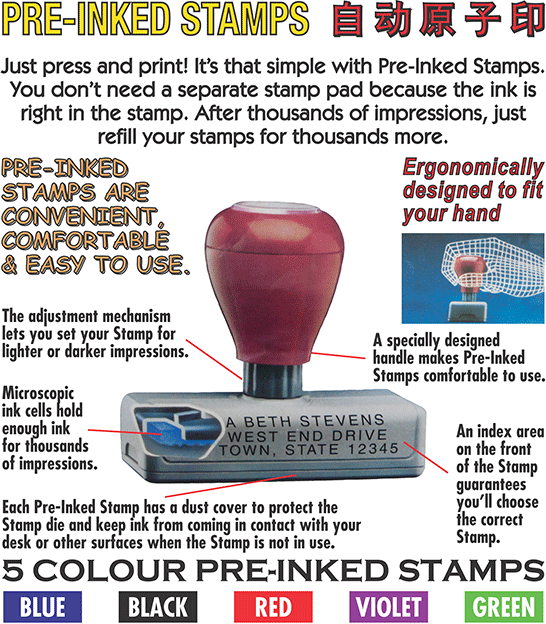 You don't need a separate stamp pad because the ink is right on the stamp. 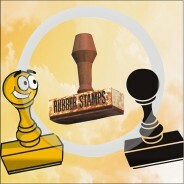 After thousands of impressions, just refill your stamp for thousands more. 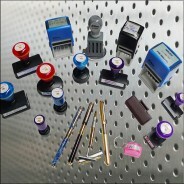 Pre-inked stamp is convenient, comfortable and easy to use. 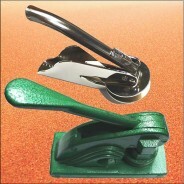 It is ergonomically designed to fit your hand and there are 5 colours to choose.